April is a fabulous month for a wedding. There’s a spring in everyone’s step as the days get longer and the promise of summer is in the air. The UK is back on everyone’s radar at this time of year and the Mediterranean is warming up nicely. And of course there’s a myriad of exciting long haul options. Just remember about the Easter holidays which are sure to inflate prices. In 2019, Easter Sunday falls on 21 April. This is a wonderful time to be in the Mediterranean as you can expect long sunny days, uncrowded resorts and rested locals gearing up for the summer season. Hillsides will be carpeted in wild flowers and beaches will be empty, though you may have to stick to the heated hotel pool as the sea may be a bit chilly for swimming. 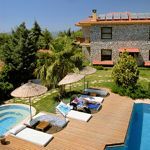 Turkey is a great honeymoon choice and far enough south to ensure temperatures in the low 20s and 9 hours of daily sunshine (compared with 13°C and 5 hours of sunshine in London). If you fancy somewhere quiet, head to the Mandarin Boutique Hotel, a romantic adults-only hideaway with just 8 rooms set in remote countryside. 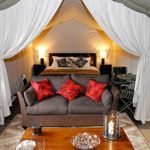 It’s well-priced and boasts four-poster beds and Jacuzzis for two. Cyprus is a long way south – you are almost certain to find warm weather and sunshine, along with hills carpeted in wild flowers and not so many other tourists. At this time of year you’ll find tempting offers at luxury hotels such as the Anassa and the Elysium Resort Hotel. In Italy you will have the resorts to yourselves, as the locals wait until August for their summer break. 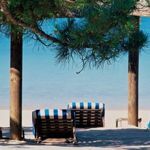 For the best beaches head to the island of Sardinia and fabulous hotels like Forte Village, renowned for its top quality sports and thalasso spa, or the charming and friendly Hotel Relais Villa del Golfo. 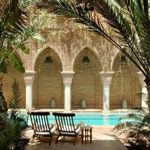 Sicily is a wonderful island to explore – with volcanoes, well-preserved antiquities and rugged countryside – but it also has some romantic hotels that are ideal for honeymooners. 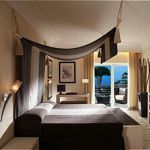 The best include The Ashbee in a spectacular location overlooking Taormina and the Alba Palace Hotel (where I recommend you book a Spa Suite). 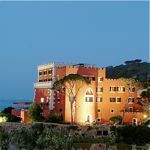 See more hotels and villas in Sicily and the latest special offers. For old-school glamour without the crowds, head to the Amalfi Coast or the Italian island of Capri. Bag a deal at a top hotel and let all that island charm wash over you. I recommend the Capri Palace Hotel & Spa. If you love the great outdoors, take advantage of the mild temperatures with an easy cycling tour of Italy – a great way to discover quiet backroads and, after a day’s gentle pedalling, indulge in delicious food and wine. The French island of Corsica tends to be unfairly overlooked by honeymooners. In fact, it has beautiful beaches, wonderful restaurants and rugged countryside where you can take long romantic walks amongst the spring flowers. Check out this collection of Romantic Retreats which includes hotels, villas and apartments. The Adriatic coast of Croatia has dozens of pristine islands where you’ll find classy hotels, great food and glamorous boat trips. Best places to stay for honeymooners include Hotel Podstine which looks down on the waterfront just outside funky Hvar Town, and Hotel More in Dubrovnik which has just 35 rooms gazing across to the Elaphiti Islands. Few Greek islands are more romantic than Santorini (20°C temperatures, 8 hours of sunshine), a black volcanic caldera with stunning white-cube boutique hotels carved into sheer rock faces. My favourite places to stay include Hotel Grace and these hideaway houses for two. If you want guaranteed high temperatures, you will need to travel just a little further. It’s five hours flying time to Egypt, where the weather will be stunning. I recommend a few days in Cairo (29°C temperatures and 9 hours of sunshine) combined with a Nile cruise. 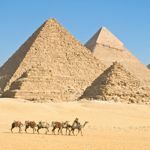 Check out these honeymoon ideas in Egypt. Morocco is a little nearer – just three hours flying time from the UK – but still offers guaranteed sunshine with hot days and pleasantly cool evenings – not too oppressive for sightseeing. Marrakech has temperatures of 24°C and 9 hours of daily sunshine. If you’re on a budget, try this This 7-night Morocco Honeymoon which includes a riad in Marrakech, hot air balloon flight, a luxury desert camp and a stay in the Atlas Mountains. For the five-star treatment, stay at Sir Richard Branson’s Kasbah Tamadot. You could fly west to sun-baked Madeira and stay in a historic country house (quinta), a great choice if you enjoy fine dining and gorgeous walks. Find out more about honeymoons in Madeira. Another option is to honeymoon in a European city. April in Paris is so perfect, they wrote a song about it. Arrive in style on First Class Eurostar and stay in a chic boutique hotel such as the Lancaster just off the Champs-Elysées, or the beautiful Relais Christine hidden away on the Left Bank. Or how about combining the Italian cities of Florence, Rome and Siena. 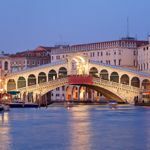 And of course there is Venice which is wonderful in April and has a wide range of hotels – some magnificent, others not so great. It’s worth booking dinner at the legendary Danieli even if you don’t stay there. I particularly like the five-star deluxe Ca’ Sagrado, which has just 42 rooms and overlooks the Grand Canal. Or make tracks to Andalucia to tour three of Spain’s greatest cities. 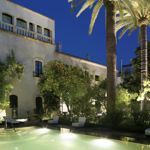 Stay at the Hospes Las Casas Del Rey de Baeza in Seville, the chic Hospes Palacio del Bailio in Cordoba and the charming Hospes Palacio de los Patos in Granada. You can expect temperatures of 23°C temperatures and 8 hours of daily sunshine. Many honeymooners love the idea of a road trip across America – I always suggest they chat with Exsus who are experts at adding that extra touch of style and glamour (such as driving a Mustang Convertible). Their most popular itinerary is a classic California fly-drive from San Francisco to Los Angeles. Or get behind the wheel to explore Las Vegas and Southern California including a stay in glamorous Palm Springs. Miami promises 27°C temperatures and 10 hours of sunshine in April, plus beaches, chic bars, shopping and dreamy sunsets. Stay in fashionable South Beach, then spend a few days in the Keys or on the Gulf Coast. Best hotels include the South Seas Island Resort on Captiva Island and Cheeca Lodge on Islamorada. In the Caribbean the weather is superb with temperatures of around 30°C with 8 hours of daily sunshine, and once Easter passes you are in low season, so prices drop dramatically. You can also in the get married in the Caribbean – Tropical Sky has a dedicated team of specialists who can find exclusive deals including free wedding packages. Sandals is the market leader in adults-only all-inclusive resorts, and you can even get married for free at Sandals Barbados. 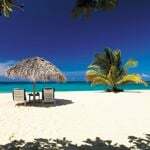 On tiny Grenada, the recently-opened Sandals LaSource Grenada Resort & Spa is set on a stunning beach and has an emphasis on wellness. Jamaica is a beautiful and fascinating island with much more to offer than beaches (although the beaches are pretty good). There is a superb range of hotels but you should certainly consider the small stylish and cosy Jamaica Inn – it’s one of the island’s best. St Kitts is another island with plenty going on beyond the beach. You can zip-wire through the rainforest, visit sugar plantations and lime with the locals in casual beach bars. Stay at the colonial-style Ottley’s Plantation Inn or the chic Belle Mont Farm. In April there’s also a chance to see leatherback turtles nesting. 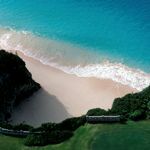 Beach bums should consider the small coral island of Anguilla which boasts beautiful powder white sands, superb hotels and charming local restaurants. Best places to stay include Cap Juluca, the Four Seasons (I like the rooftop suites with private pools) and CuisinArt which has an excellent spa. St Lucia is one of my favourite Caribbean islands. For a high-end all-inclusive hotel with just 30 suites, go to East Winds. You can experience the thrill and romance of sailing on a tall ship exploring the small ports of the Caribbean with Star Clippers. Costa Rica is a great destination for adventurous, outdoors types. Stay in luxury eco lodges, trek in the rainforest, see wildlife, surf beaches, cloud forests and volcanoes. If you’re on a budget, this 12-day Costa Rica Highlights is hard to beat. In South America, you could embark on a once-in-a-lifetime Darwinian adventure to Ecuador & the Galapagos – check out this dreaming on the Equator honeymoon. Or explore the wild and ravishing landscapes of Chile – from Andean salt lakes to Patagonian glaciers. This 12-night Classic Chile private tour is packed with unique experiences, with the option to see the Moui statues on Easter Island. In the Indian Ocean, the Seychelles will be enjoying 30°C temperatures, 8 hours of sunshine, low rainfall, calm seas and good underwater visibility. 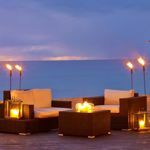 These islands are incredibly well geared up for honeymooners with romantic packages and a sophisticated set-up for weddings too if you want to tie the knot there. For barefoot luxury in the Seychelles, try Denis Private Island. Or take a short speedboat ride to Enchanted Island Resort. In the Maldives you can expect 32°C temperatures and 9 hours of sunshine, though humidity will be high. You can get some good deals if you go all-inclusive. One of the most popular destinations for honeymooners is the four-star Kuredu Island Resort which is great value. It has 3km of white sand beaches, two pools, four restaurants, fabulous diving and snorkelling and a range of beautiful villas and bungalows. If you want all-out luxury, check out NIYAMA Maldives which has 87 studios and pavilions – most with a private pool – dotted across two gorgeous islands, plus an underwater nightclub and a chance to spend a night at sea with your own butler and private chef in a traditional sail boat. In South Africa it’s the end of the hot season: explore Cape Town (22°C temperatures, 7 hours of sunshine) before heading to the Winelands. This 12-night Luxury Cape and Coast honeymoon is a great option, or push the boat out for the Ultimate Cape Town, Winelands and Kruger private tour. If you want to stay somewhere very special in the Winelands, take a look at Sir Richard Branson’s Mont Rochelle. In Namibia it’s the start of the dry season with temperatures of around 25ºC with 9 hours of sunshine. You’ll be awe-struck by the wild desolate beauty of this country, where you can take a hot air balloon ride over vast swathes of desert, visit the Skeleton Coast, track the endangered Black Rhino, climb the world’s tallest sand dunes and gaze up at velvety night skies. Choose between a self-drive honeymoon and a classic fly-in honeymoon. Botswana is transitioning from the green season (occasional rain showers) into the popular dry season. The swollen waters of the Okavango Delta will be absolutely gorgeous. If you want real adventure, head to the Kalahari Desert. 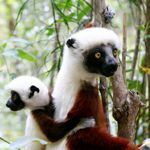 Madagascar – one of the big up-and-coming honeymoon destinations right now – is ideal in April with 25°C temperatures and 7 hours of sunshine. The rainy season has just ended and the forests will be sparkling, and the beaches pearly white. Try this 12-night Classic Madagascar honeymoon which features some of the country’s highlights. 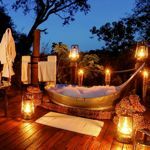 See my pick of the best safari honeymoon lodges in Africa. 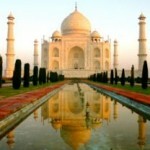 India is packed with natural and man-made wonders: it’s a country guaranteed to amaze and enchant you. Check into buzzing Mumbai (33°C temperatures, 10 hours of sunshine) before enjoying the gilded world of the Maharajas’ Express, one of the world’s greatest luxury train journeys. Sri Lanka is a hot spot for honeymoons (and weddings) and although weather patterns vary, April should be reasonably dry and not too humid. In Colombo you can expect 32°C temperatures and 8 hours of sunshine. South America is also a great choice for a honeymoon in April. In Brazil it’s turtle hatching season in the North-East, where you can also swim with wild dolphins and relax on some of the world’s best beaches. Look forward to 27°C temperatures and 6 hours of sunshine in Rio. On the way to Brazil you’ll find the Cape Verde islands, an Atlantic archipelago with a fascinating cocktail of African, Brazilian and Portuguese influences. 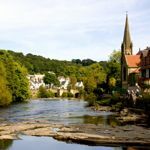 It’s a great value destination with sandy beaches and dramatic landscapes, and six-hour direct flights from the UK. Expect 10 hours of daily sunshine and 25ºC in April. See the latest offers. In Argentina summer is over and all the vacationing Argentines have gone back to work, making it a good time to visit with lower prices. It’s cooler as autumn kicks in but still pleasant and great for sightseeing. If you are drawn to Asia, Vietnam is a good choice for April. This two-week Vietnam in Style private tour will take you to Hanoi, Halong Bay, Hoi An, Ho Chi Minh City and the idyllic islands of Con Dao. How about travelling between Bangkok and Singapore on the Eastern & Oriental Express, a four-day luxury train journey that is the height of colonial-style opulence, with lots of fascinating side trips. It’s also a good month to visit Japan – where you can discover dazzling high-tech cities, traditional ryokan inns, hot springs, mountains and beaches. In Tokyo you can expect 20°C temperatures and 5 hours of sunshine. 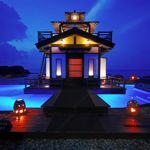 Find out more about honeymoons in Japan. This is a good time to fly down under. You’ll find a great selection of self-drive honeymoons in New Zealand, where you could be heli-hiking on glaciers, kayaking with dolphins, horse riding through the bush and bathing in natural hot springs. In Australia, you can enjoy the views on board The Ghan which runs across the Outback between Adelaide and Darwin with excursions including wine tasting in the Barossa Valley. Tahiti is a South Pacific paradise with a French twist. You can take a cruise around the 200 gorgeous islands and atolls, or stay on The Brando, a sensational private island. Resort hotels include the Four Seasons Bora Bora and St Regis Bora Bora. We all know that you can’t rely on April weather. It could be glorious sunshine and unseasonably warm or bracing and damp. But if you’re prepared for either, there are plenty of uplifting honeymoon choices. 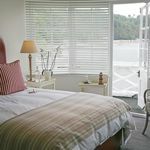 Cornwall and Devon are coming back to life in April, a great time for a five-star blowout when rates are still low and the crowds haven’t flocked in. 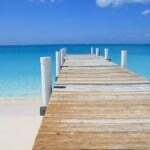 >> Also see my pick of the best honeymoon destinations over Easter. 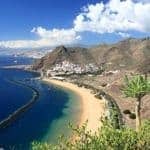 >> See our sister site 101 Holidays for more expert ideas of where to go holiday in April, and where is hot in April in Europe.